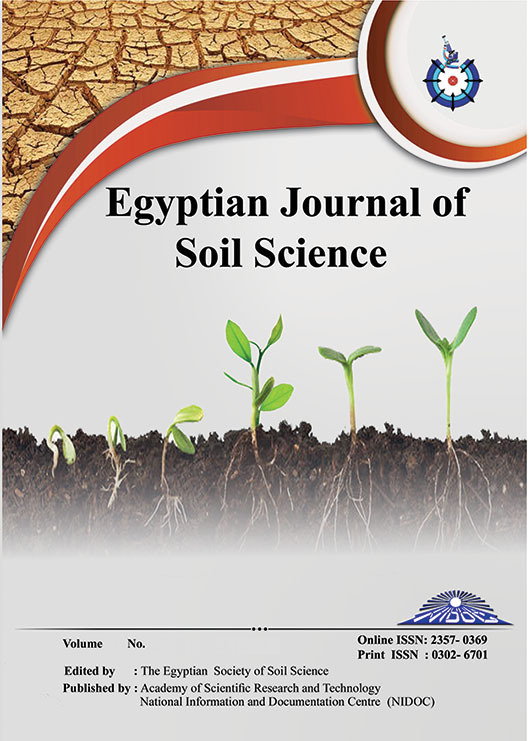 THE MAIN objective of the current study is to use remote sensing data and GIS to map the physiography and soils of Wadi Qena-Wadi El-Qarn area. To fulfill this objective the Landsat-8 image acquired during 2015 and Shuttle Radar Topography Mission (SRTM) data employed. The preliminary physiographic map was produced and checked during fieldwork. A total of 20 soil profiles were collected and analyzed then the data were used to classify the investigated soils to sub-great group level. The correlation between physiography and soils was achieved. The results indicated that the main physiographic units in the area include Crest, Upland, Pediplain, Bajada and Wadis. These units are occupied by two sub-great groups , i.e. Typic torripsamments and Typic quartzipsamments.